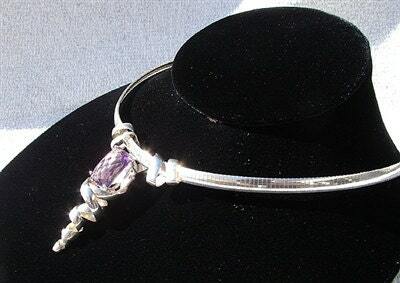 African Amethyst Nested in Twisted Sterling Silver. 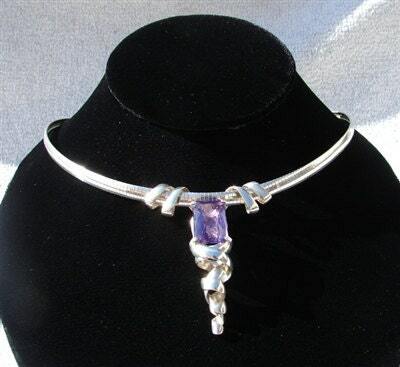 A large beautifully cut African Amethyst is mounted in a hand woven design using Sterling Silver ribbon. The unique interwoven wrap slips onto a Sterling Silver Omega necklace with a two inch adjuster chain to finish it off.